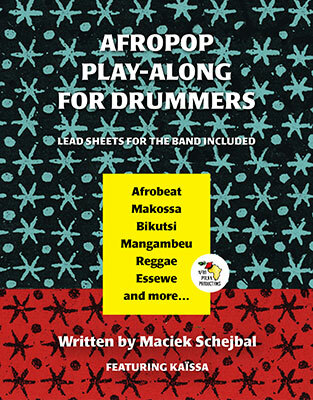 This book features nine play-along songs in various African styles complete with no-drums tracks, drum charts, lead sheets for the band, and reference recordings. Introduction to each style with related recordings and educational materials is included to broaden the understanding of African music. Featuring Cameroonian singer Kaïssa and some of the top New York City's musicians. Endorsed by Jeff 'Tain' Watts, John Patitucci, and Ari Hoenig. "If you are looking for fresh and exciting play-along material, this is some of the best." 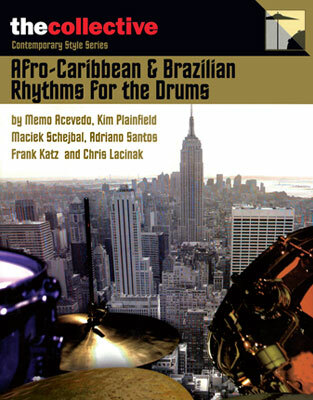 The material in this book represents years of work on the part of many Drummers Collective faculty members, who have the experience of teaching these styles to literally thousands of young drummers over the last twenty five years. This book includes historical references and background, useful info and explanations about the styles and sub-styles, detailed points about feel and performance, faculty biographies, and two CDs with over 140 minutes of demos and play-alongs. Click on the picture to place the order.